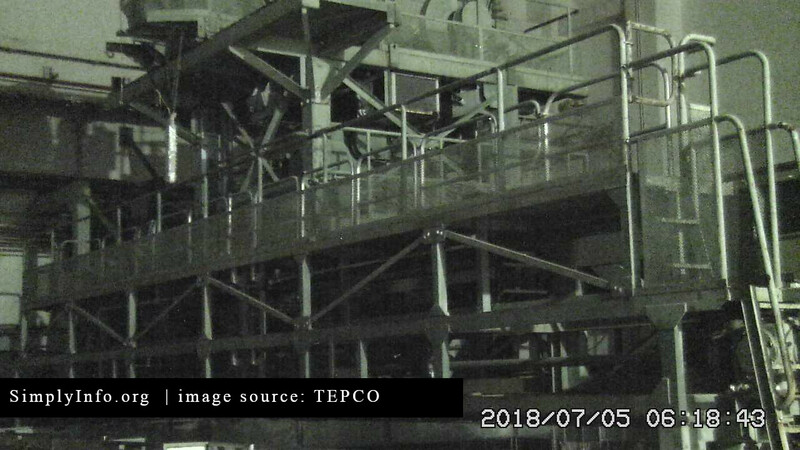 We reported in late July that TEPCO would take additional readings inside unit 2’s refueling floor level. Those readings have now been partially provided. A pair of robots was sent in via the side opening of unit 2 as described in our previous article here. 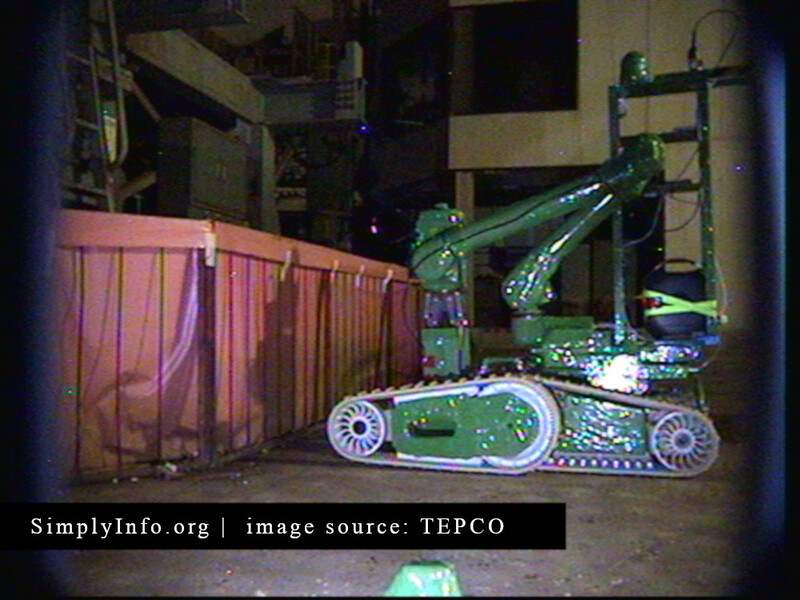 The robot duo provided the ability to take multiple types of samples while providing two views of the work. 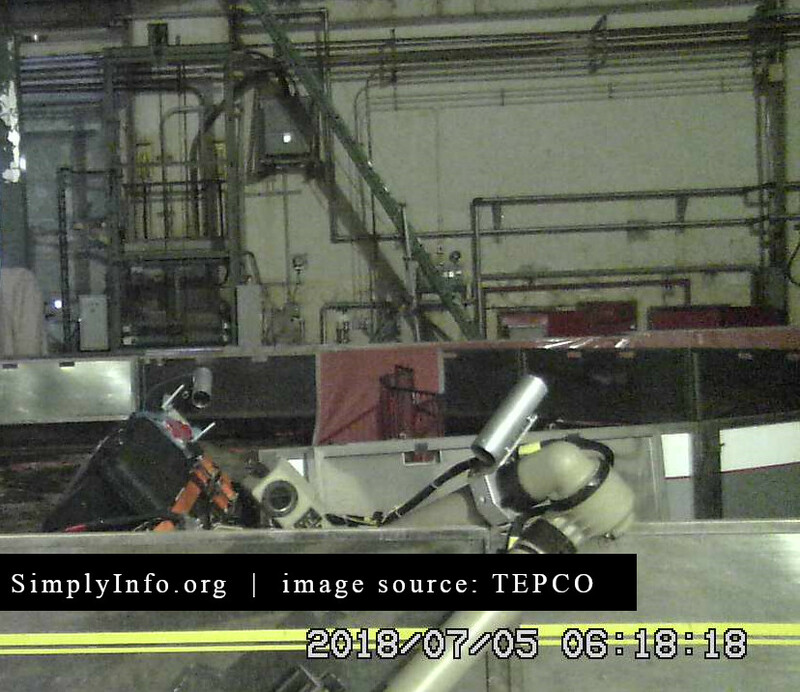 The pair were also seen taking readings next to the spent fuel pool. 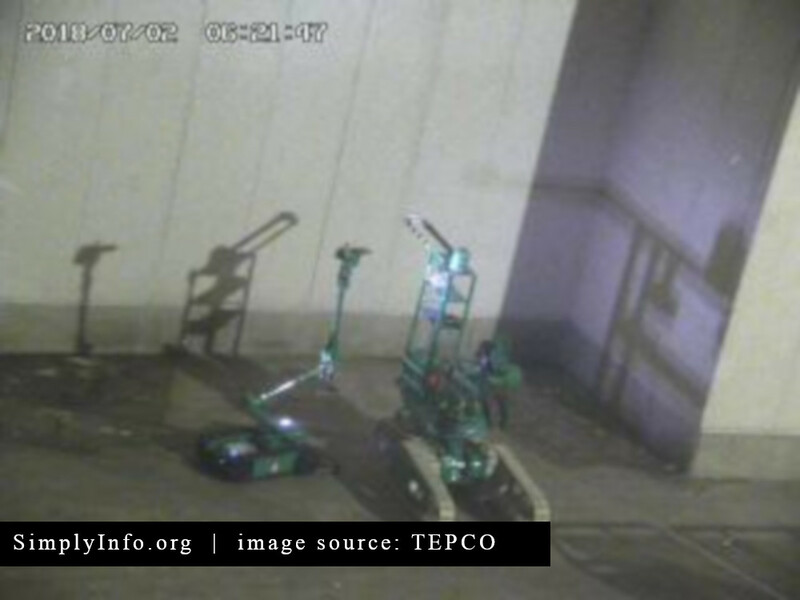 While the robot pair was on the far side of the refueling floor they took this image of the defunct PackBot robot. 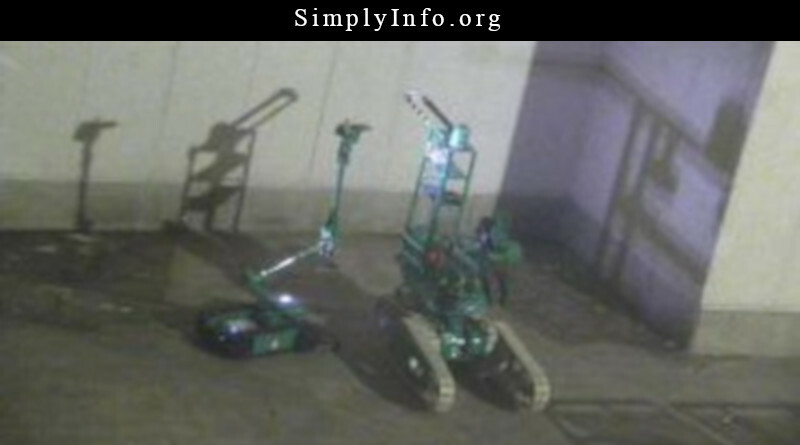 Packbot was abandoned on the refueling floor, find out more about that work here. The robot pair captured this image of the underside of the overhead crane. 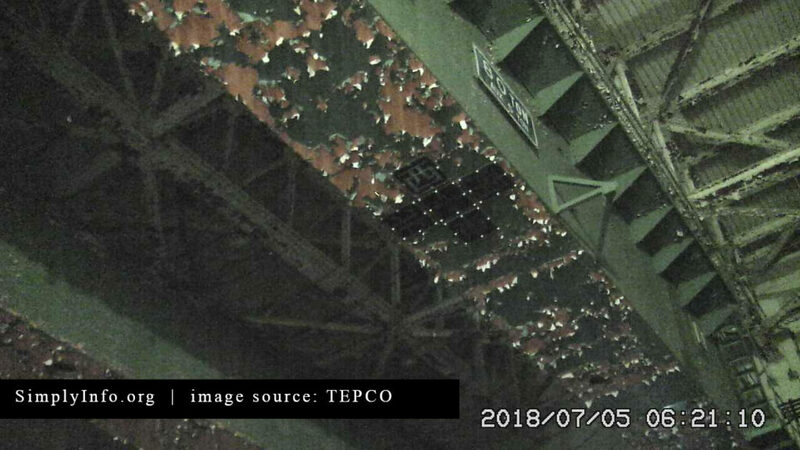 The excessive steam that clouded the refueling floor for years caused paint to peel and likely other damage to these systems. The refueling machine seen in this image is in surprisingly good shape. It will likely be scrapped due to high levels of radiation and damage to the control systems. Readings in the diagram show comparatively low radiation readings. These are just what was inspected during this work. 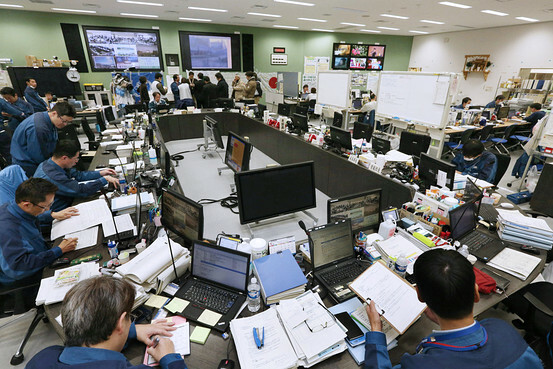 Our previous reporting shows how high the levels on the refueling floor were in other locations. 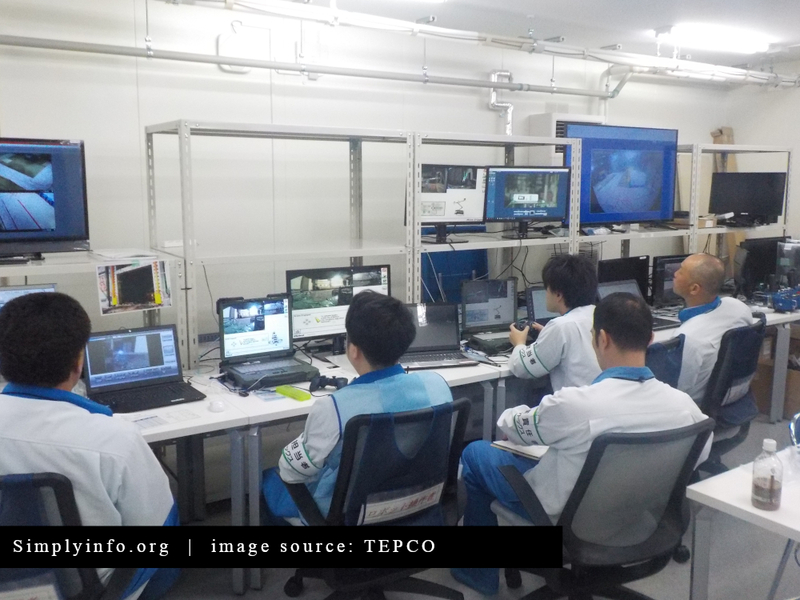 While these new readings are low by comparison, workers can not enter the refueling floor due to the higher radiation levels on this floor. 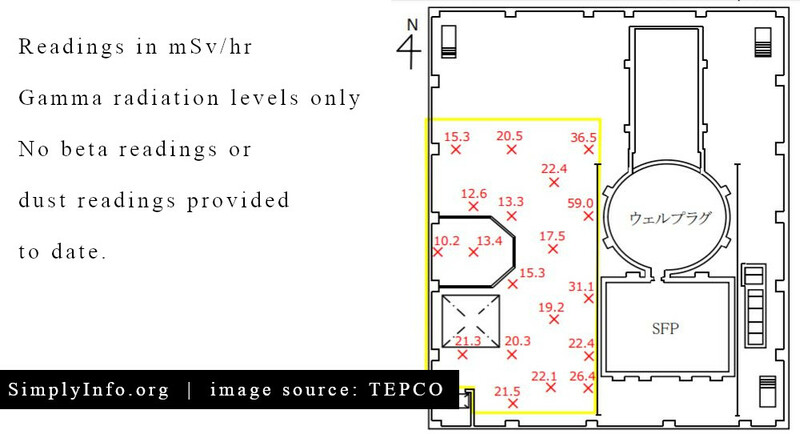 Even these lower radiation levels per hour are not considered safe for human workers. Dust samples and beta radiation readings were taken during this inspection work. Those results have not been made public yet. TEPCO’s handout for this work can be found here.